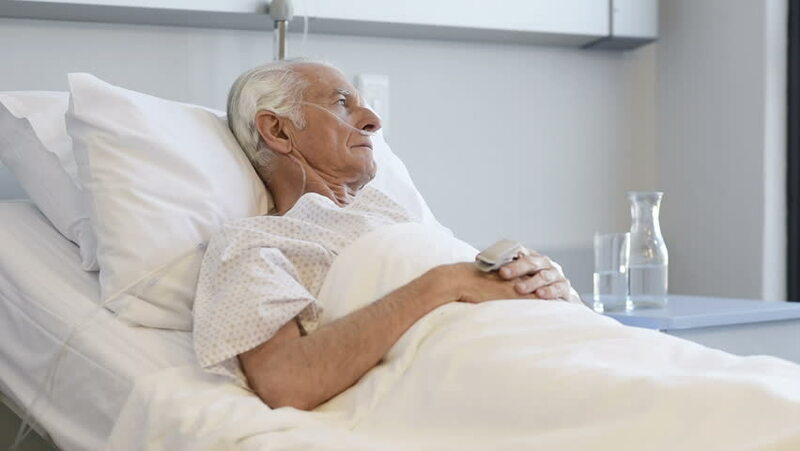 Sad senior man lying on hospital bed and looking away. Old patient with oxygen tube feeling lonely and thinking at hospital. Sick aged man lying hospitalized in a medical clinic.